Pauline is the firstborn child to a family of 5 kids, the youngest of which is just 2 and a half years old. Her father was injured in a motorbike accident 2 years ago, and he has had to use walking aids since. This immensely limited his ability to work. As such, the entire family now relies on Pauline’s mother. Due to these financial difficulties, Pauline is unable to even pay the lowest fees to attend her primary school. Despite this, Pauline’s performance has been exemplary at school. On her last midterm examination, she was position 2 in her class with a total mark of 334. She hopes that she will improve to over a 350 on her KCPE. Such a mark would pave Pauline’s way to an excellent secondary school, which she knows she needs to attend if she is to have a successful future. Pauline says that she has seen her peers and other young kids die due to the lack of proper medication in her village, a problem she hopes to help solve as a doctor. 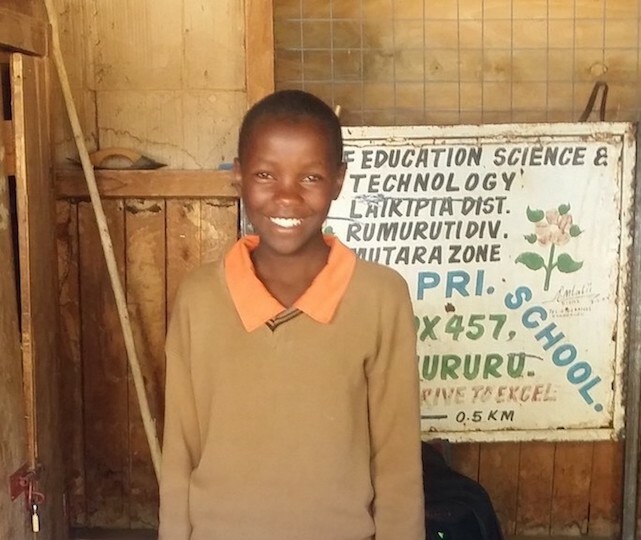 Unfortunately, as it stands, her family lacks the financial ability to pay for her school fees. Unless financial help is offered, Pauline will not get the chance to achieve her dreams. Help Pauline through this difficult time by sponsoring her today!